– Heart disease is the number one killer of both men and women in the U.S.
– Every 20 seconds, someone in the United States has a heart attack. – One in four Americans has some form of heart disease. – Every 34 seconds someone in the United States dies of heart disease. – Heart disease takes more lives than the next seven leading causes of death combined. A clinical study in 1997 established the role of Ashwagandha in slowing down the circulation of adrenaline, the stress hormone that can literally tear heart muscle fibers. Scientists now know that Ashwagandha also reduces plasma cortisol, which impairs heart health. Supports resistance to stress, promotes stamina and energy, and promotes general well-being. Supports physical and emotional heart health; fortifies multiple levels of the heart muscle; promotes healthy blood flow; enhances natural resistance to stress. 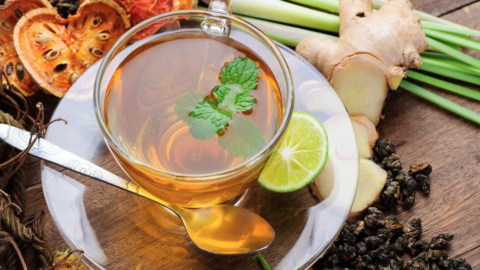 Medicine is now beginning to acknowledge what Ayurveda has long stated which is focusing on the underlying cause of health problems instead of just suppressing symptoms. Ayurveda gives primary importance to diet and lifestyle [i.e. dinacharya] as food has always been considered medicine. According to Ayurveda if we do not follow the proper rules of eating then the food we eat can generate “ama” [undigested food; toxins] and the absorption of these toxins can be a detriment to overall health and wellbeing. In fact, from an Ayurvedic perspective, “ama” is considered to be the root cause of most, if not – all diseases. Essentially, the most important step towards heart health is to eat a heart-friendly diet. Simple considerations include eating more servings of fresh fruit and vegetables; start your day with stewed apples or pears; include soaked peeled almonds in your diet; dress your veggies with fresh lime juice; and add certain spices such as black pepper and turmeric to your meals. A balanced antioxidant such as Amrit is excellent nutritional support, and published research confirms that Amrit helps reduce LDL cholesterol, which has been implicated in plaque build-up. Arterial plaque is “ama” — toxic matter that builds up in your blood vessels because your physiology cannot get rid of it efficiently. Therefore, Ayurveda recommends a seasonal program of internal cleansing [i.e. panchakarma] to help remove toxins from the body. Similarly, to help remove or prevent the formation of ama [toxins] is simply to sip warm water and herbal teas throughout the day; as indicated. Helps detoxify the gastrointestinal tract, especially the colon; supports healthy digestion and helps regulate elimination. The key is moderation. According to Ayurveda, the importance is regularity and simply exercising to half one’s physical capacity [“balaardh”] is considered ideal. Walking 30 minutes 3-5 times per week, ideally, in the morning is not only helpful to your heart but helps to improve circulation, remove impurities, and improve metabolism. Research studies have linked sleep deprivation to blood pressure problems, depression, and other factors that increase the risk of heart disease. Natural sleep aid for falling asleep faster and enjoying deeper, more refreshing sleep; balances, nourishes.